Very Good. Good Jacket. Size: 19 to 25 cm tall, Octavo, (8vo); Illustrated. 256 pages. 1st class post to the UK, Airmail worldwide. Robust packaging. This is an ex-library book and may have the usual library/used-book markings inside. This book has hardback covers. In poor condition, suitable as a reading copy. 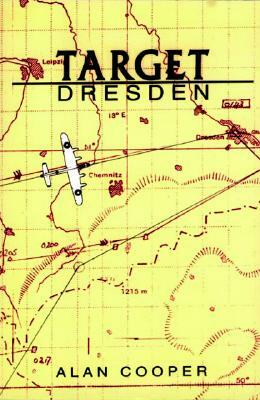 Dust Jacket in fair condition. Very Good. Some light fading and slight shelf wear on jacket. Also small knocks on corners of cover. Content is fine. Sewn binding. Cloth over boards. 256 p. Contains: Illustrations. Very Good. 1872863151. with dustjacket, 1995 clean bright copy. Very good. 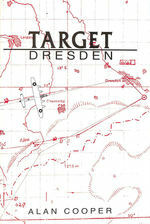 Target Dresden by Cooper, Alan. Fine. Fine, paperback. Very clean, bright and tight. 256 pages. Very Good+ in Very Good+ jacket. 8vo-over 7¾"-9¾" tall.